Student government officials who threatened to impeach one of their leaders for using the phrase "illegal aliens" have backed off, citing fears for their "safety and wellbeing." 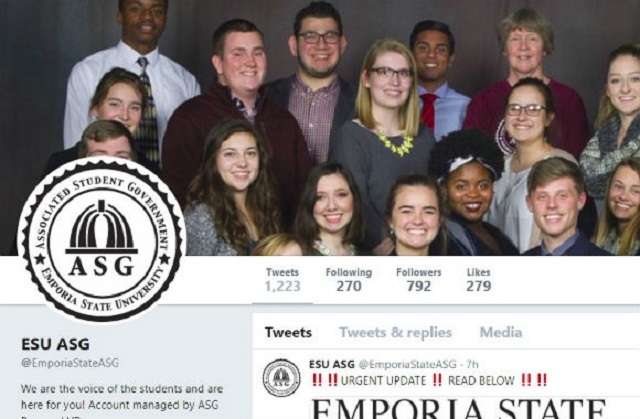 Senators lashed out at Emporia State University administrators Wednesday night for not responding to the "hate" directed at them for the impeachment threat, according to The Bulletin student newspaper. Associated Student Government executives, including the official threatened with impeachment, also canceled Thursday night's scheduled senate meeting after moving it to a different location.